We stock over 200+ loose sweets from jellies and hard boiled through to toffees and diabetic sweets. 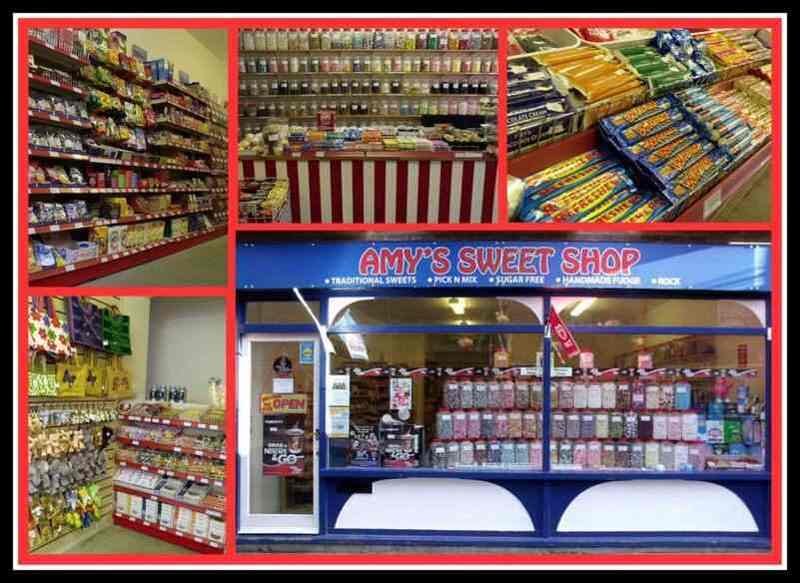 We only stock the best quality sweets we can and will not compromise on quality. Our retro sweets will take you for a walk down Memory Lane. Can you remember Flying saucers, Milk Gums, Fruit Salads, Blackjacks, Shrimps, Parma Violets, Love Hearts, Dip Dabs & Sherbet Fountains? We have all of these and more so come in & have a look. If you cannot find what you want let us know and we will see what we can do. We can provide various sizes of hampers and retro jars to order.